Times are tough for the National Movement for the Liberation of Azawad (MNLA). Only two months ago, the Tuareg rebel group was at its peak. Having possessed the strategic initiative in the aftermath of the Malian military’s March 22 coup against Amadou Toumani Touré, the MNLA had also been well armed with machine guns, mortars, antitank and antiaircraft weapons looted from the late Muamar Qadhafi’s arsenal in Libya. 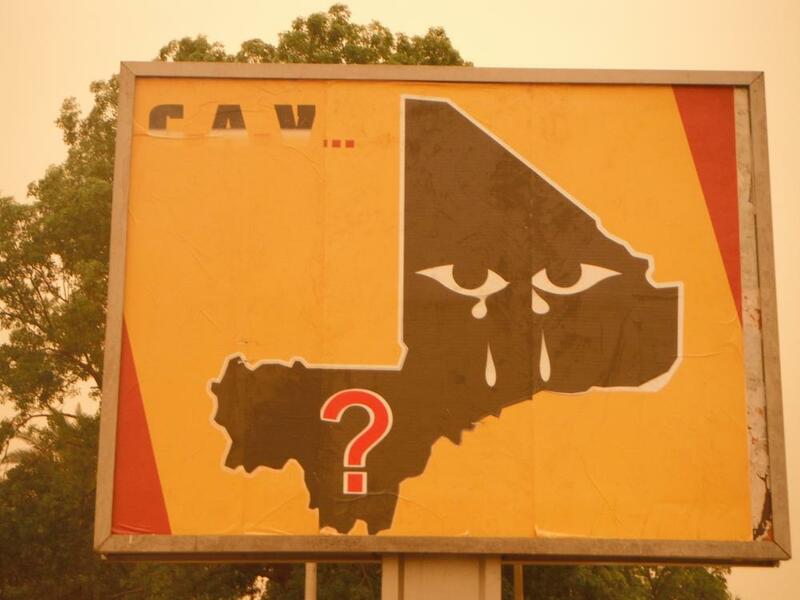 In a matter of days, the group swept across northern Mali, conquering its three regional capitals, and declaring northern Mali the independent state of “Azawad.” Having faced decades of marginalization, this secular movement had lofty principles for their new state, and in the hopes of gaining international support (or avoiding international condemnation), the MNLA had pledged to counter the influence of Al-Qaeda in the Islamic Maghreb (AQIM) in the region. Flag Ansar Dine has been flying? But as the dust settled from the late March-early April military offensive, the MNLA found it had to negotiate accommodation with Ansar Dine, an Islamist group that sought to spread sharia across Mali and was suspected to have links to AQIM. As what little Malian government authority there was in the north eroded, there was evidence of a turf war between the groups, with each group vying for strategic territory and attempting to exert its authority. At the same time, there were stories of the MNLA and Arab militias looting areas now devoid of Malian government control and committing acts of sexual violence against women and young girls. Meanwhile, Ansar Dine sought to establish an element of legitimacy in conquered territories, but used violence and intimidation in order to do so. (See an earlier Alex Thurston post for an analysis of law-and-order Islamism in northern Mali.) The group began to impose a harsh version of sharia on the areas they controlled, to the chagrin of many of the residents who had previously practiced a moderate form of Islam. Meanwhile, in Bamako, there was an unending political impasse between the military junta and the Economic Community of West African States (ECOWAS). During this time, there was a faux-transition to constitutional rule, the junta’s arrests of prominent politicians amid accusations of a counter-coup, an actual attempted counter-coup, and most famously, the beating of interim President Dioncounda Traoré in response to an agreement ECOWAS had brokered to would allow him to remain in power for a year and manage the transition to democracy. This political turmoil in the capital made it less likely that the Malian military would be able to regroup to establish the government’s authority in the north. In fact, one could argue that the junta (forgive me for not typing out their ridiculous name and lengthy acronym) was more concerned with undermining the transition than with restoring Mali’s territorial integrity. This potentially distracted them from understanding the rapidly changing dynamics on the north. To the surprise of many analysts watching the situation unfold, the MNLA and Ansar Dine announced the creation of a Transitional Council for the Islamic State of Azawad on May 26. There have since been a plethora of reports that the agreement between the MNLA and Ansar Dine has fallen apart, stating that it would have been challenging for the secular nationalist MNLA and the Salafist Ansar Dine to overcome their politico-religious differences. But by this point, the MNLA was negotiating from a point of extreme weakness. Somewhere between April 6 (the day the MNLA declared Azawad independent) and May 26, the MNLA’s fortunes changed. And when all is said and done – be it next year or in ten years – people should look back at this time period with an eye for indications of the MNLA’s waning power and the group’s shifting equities. Initially, the MNLA had three options to achieve independence for Azawad and a monopoly of violence in the state: A) Fight on its own against government; B) Ally with other armed group to fight government; and C) Negotiate with government. As its strength waned, and as the political melodrama on Bamako persisted, it became clear that the MNLA would have to align with a stronger armed group to achieve its objectives. Ansar Dine is a less-than-ideal partner for the MNLA due to the groups’ differing strategic objectives. However, Ansar Dine is an opportune partner for tactical reasons, because according to Gregory Mann, the MNLA is apparently having trouble paying its fighters. Moreover, it had been unclear whether or not the MNLA would be able to maintain the supply of weapons that had given it the early strategic initiative. Ansar Dine, on the other hand, has been able to secure cash and weapons, and consequently became the better armed of these two groups. Thus it would have been practical for the MNLA to seek an alliance with a stronger group – in this case Ansar Dine. However, in so doing, it would significantly diminish its secular credentials, including the idea that the MNLA could be counted upon to fight the expansion of AQIM in regions under their control. Whether or not the MNLA and Ansar Dine are able to forge an alliance, I believe that if there had ever been an opportune moment to date to negotiate accommodation between Bamako and the “lesser evil” MNLA, it would have been the point at which the MNLA realized they were not powerful enough to secure independence, but before they got so weak they had to destroy their credentials and compromise their movement by seeking accommodation with Ansar Dine. We may never know if elements of the MNLA would have accepted regional autonomy in April/May in exchange for integration into the national military to fight Ansar Dine and AQIM, for example. Considering statements that characterize the situation in northern Mali as “an early stage of Afghanistan and Somalia,” I think that the perpetuation of the political turmoil in Bamako over the past two months may have been a missed opportunity to dissociate the MNLA from Ansar Dine.